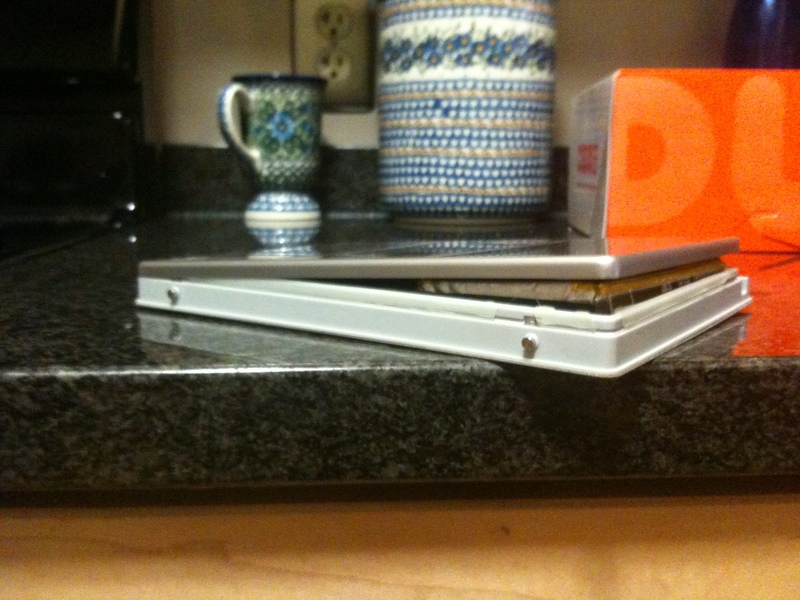 Swollen MacBook Pro 17″ Battery Ready to Explode? 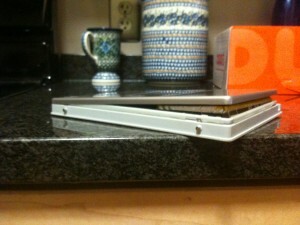 I had to replace my MacBook Pro 17″ Battery again a few months back due to the swollen battery issue. I just left the old one on my desk on top of a few Apple product boxes figuring I’d take it somewhere to have it recycled. Just last night I was cleaning up in the middle of the night (don’t ask why I was up) and noticed that it had had swollen even more. In fact, it looks like leaving it charged kept feeding the expansion of the battery cells. Its at the point where the entire case is separating. I think I’ll take it to an Apple Store and have them recycle it so that they can see how bad they get. Hey, maybe they’ll give me another one! This entry was posted in Apple, MacBook Pro on November 19, 2011 by bill.